Dental Assisting Open House at Elite Academy! Want to learn more about Elite Dental Assisting Academy? Or perhaps you are a former student and would like to drop in and say hello? How about a dental office interested in a student extern, or just curious about our course? All are invited to join us for a kid friendly, no pressure eat and greet Dental Assisting Open House. 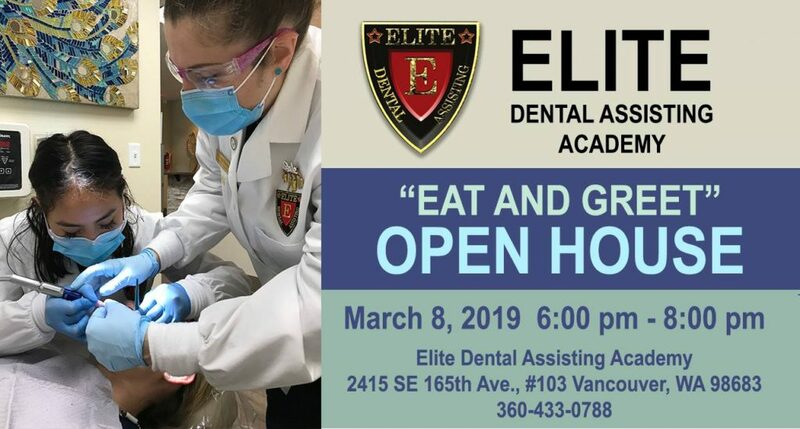 Come take a look at our school, bring your questions, chat with teachers, staff, former and current students, while enjoying snacks that keep the dental profession in business (yes, chocolate!). No gimmicks, no sales pitch, no pressure. Just pure information, fun and food. « Dental Assistant Scholarships – Celebrating 7 Years!